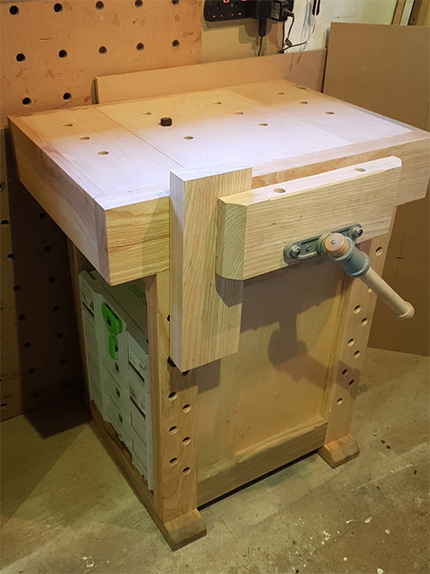 This is a nice project you might want to make if you’re pressed for space, or if your current setup doesn’t include a sturdy bench top with a vice. 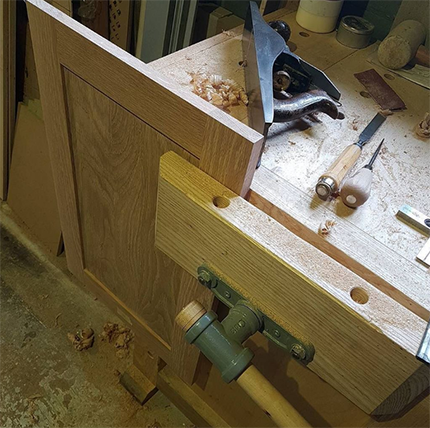 Steve Tomlin of SBT Design recently won first prize in the worldwide ‘Masters of Wood’ plans competition 2017, organised by Triton tools. 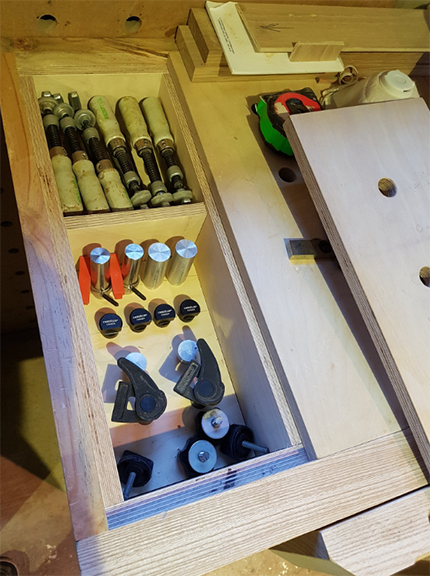 His ‘Mini Workbench’ has some neat storage ideas, integrating an area for Festool systainers and also featuring the ‘holy’ worktops where you can use Festool clamps and dogs. 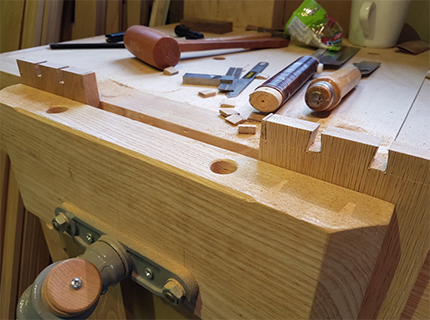 The bench also looks useful for traditional hand tool use, which is why I like it, with a good-sized vice and nice use of hardwood in the frame. Steve uses oak, but as the plans show, you can use whatever hardwood you like. 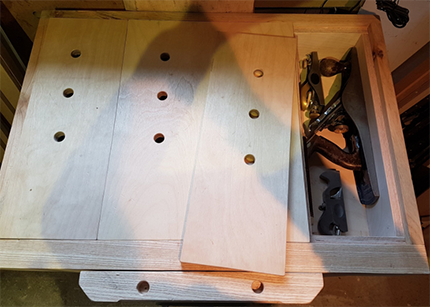 There’s some storage for your bits under the worktop and I understand Steve is also working on a second version with a drawer included. 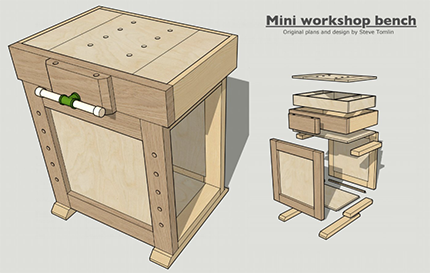 The plans are free, so you can download them and store them for a winter project maybe, or just crack on and get one built. It says the plans are free but I don’t see a link to download them. Outstanding! Thank you very much. Take care.